Fun Run: 9:00 a.m. and 5K/10K 9:30 a.m. This is a superhero-themed race! Please come wearing your favorite superhero costume. The fun run is free, and there are prizes for all children who participate. NMC's College for Kids will sponsor the fun run so that every child that participates will receive a cape! After the event join us on NMC's Main Campus for the awards ceremony, prizes and fun events for kids of all ages. We will have face painting, balloon animals and more! All proceeds of this event will benefit the Big Brothers Big Sisters of Northwestern Michigan. 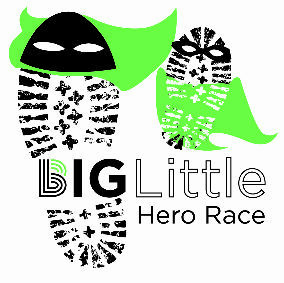 Every child needs a hero, and you can help us find them one by racing in this fun event. It is a chip timed race by Endurance Evolution. The one-mile fun run starts at 9:00 a.m., the 5K and 10K start at 9:30 a.m. The race route winds around Northwestern Michigan College's Main Campus and out Old Mission Peninsula. To qualify for the student rate you will need to bring your student ID to the packet pickup. Register by March 18 to receive the early bird discounted rate, rates increase by $5 after March 18. Register by March 31 to secure your super awesome race shirt. Our race shirts come in men’s and women’s sizes and are printed by our super sponsor Pickle Print & Marketing. This race is coordinated by the NMC Business Students for Big Brothers Big Sisters. We are sorry, but there are no refunds for this event. Packet pick-up will be in NMC's Health & Science building from 5:30 -7:30 p.m. Friday, April 12 and Saturday (the morning of the race) 7:00am - 9:00am. In person registration will be available Friday, April 12 from 5:30pm - 7:30pm, as well as on race day from 7:00am- 9:00am at NMC's Health & Science building. ** Only one promo code will apply per cart. If you have multiple registrants and a promo code, please checkout in seperate transactions.